Donovan had a very strong rookie season for the Rangers with 26 points in 62 games. Those numbers would lead all rookies on his team and place him 3rd in scoring among rookie defensemen. Truly outstanding numbers for the 40th overall pick in the 2018 OHL Draft. 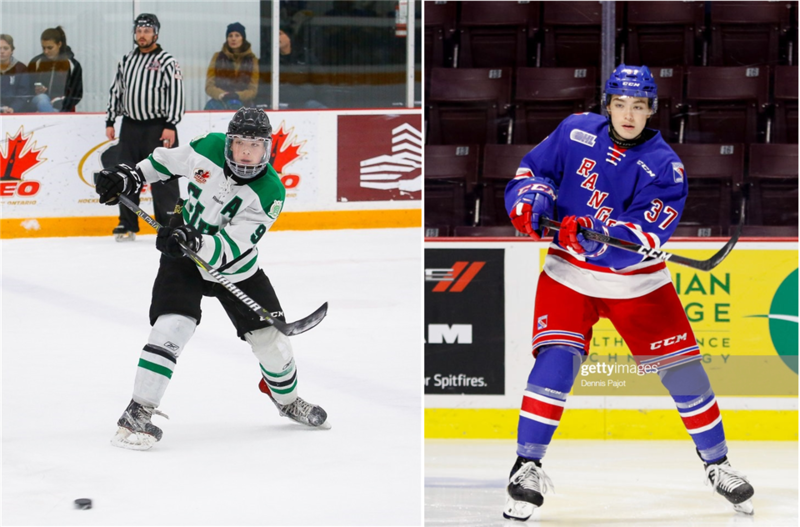 Donovan played 3 years at CIHA from 2015-2018, compiling 76 points in 110 games at the Bantam and Midget AAA level. He also played 4 games for the Jr. A Ottawa Junior Senators. In November 2018, Donovan was selected to represent Canada on one of its 3 teams for the World U17 Hockey Challenge. He finished with 2 assists in 5 games. We want to wish Donovan the best of luck as he continues to add to his hockey resume and make a name for himself!